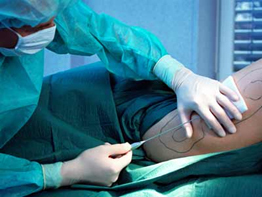 In Korea, the liposuction has become one of the most popular cosmetic body procedures performed. The technique removes unwanted pockets of fat and enhances your shape and self image. It is a cosmetic surgical procedure—one designed to improve your personal appearance from a variety of areas. In general, liposuction is an amazingly powerful procedure that can change your body and your life. 02Who and which parts are appropriate for Teuim’s liposuction? - Microcannalicular liposuction is an outpatient technique done by very small incisions underneath the jaw line or at the bottom of the ear. People are typically very comfy as they recover at household with a facial bandage below the chin to present moderate compression. 03What type of liposuction do we have? Our Board Certified Plastic Surgeons can help you to formulate the best plan that would suit your needs. We would like to discuss your goals and evaluate your specific case, including your options because there are many different types of liposuction as well as different combination of areas that may be best suited to enhance your body. the most common type which involves adding salt water and epinephrine to the fatty tissue in order to prepare it for extraction. Epinephrine causes blood vessels to constrict, thereby decreasing bleeding. Ultrasonic and laser cuts down harm to adjacent tissues, so there are much less streaks and pores and skin narrowing is enhanced. Top-quality quantities of body fat tissue can as properly be taken off by minimizing blood loss. Therefore, they may allow for a more thorough removal of fat with less bruising, less swelling, and a faster recovery.